Just 800m from the beach in Playa de las Americas, Playa Olid makes for a great family holiday. Enjoy a dip in one of two pools then soak up the sun on a lounger, while the children make friends at the hotel kids' club. And when it's time to venture out, you're just 400m from a selection of bars and restaurants. 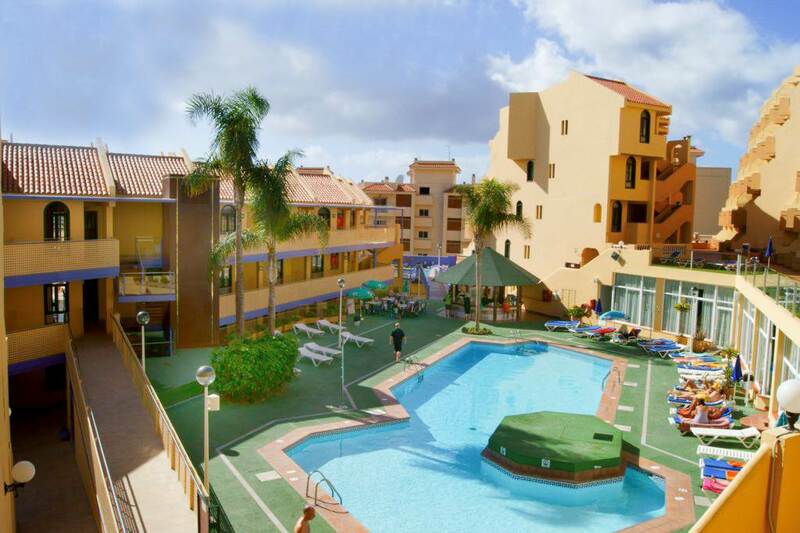 Situated 800m from the nearest beach and within 400m of a selection of bars and restaurants; 2.5km from the Playa de las Americas resort centre and Siam Park. 1 bedroom apartments sleep up to 3 adults or 2 adults and 2 children and have a separate twin bedroom, living area with sofa bed, kitchenette with fridge, cooking rings, satellite TV, hairdryer, full bathroom and a balcony or terrace.